Bookish tea drinkers will appreciate that Teaful has branded its tea releases as chapters. Each chapter will contain 4 teas from Taiwan totaling 75 grams. 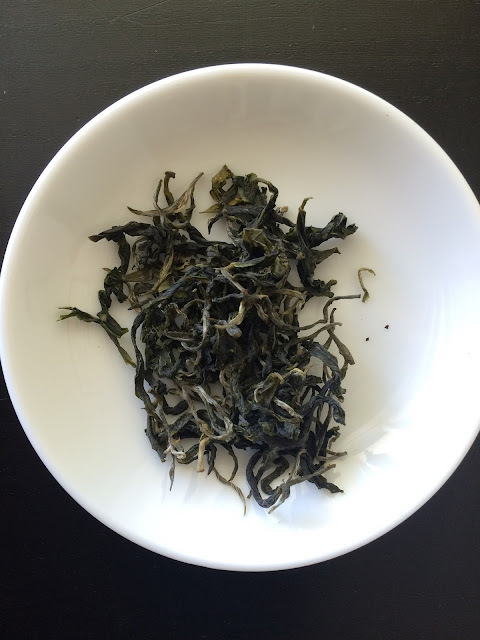 Chapter 1, which I review here, is a selection of four Taiwanese teas: Biluo Chun, a green tea from Sanxia; Jade Oolong from Mingjian in Nantou; Alishan Oolong from Chia Yi; and High Mountain Black Tea also from Nantou County. Dong Dong mountain and Shan Lin Xi are both in Nantou County. Dong Ding is also known as Tung Ting. 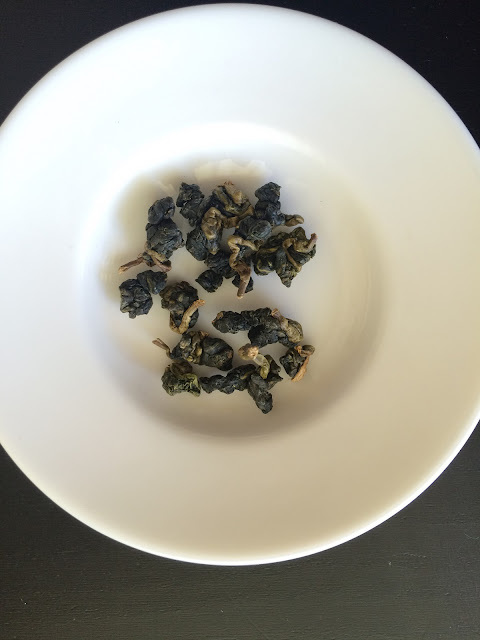 The Teaful Jade Oolong is a dong ding/tung ting. Ali Shan originates in the Chia Yi district. The first of the teas I drank was the High Mountain Black Tea. 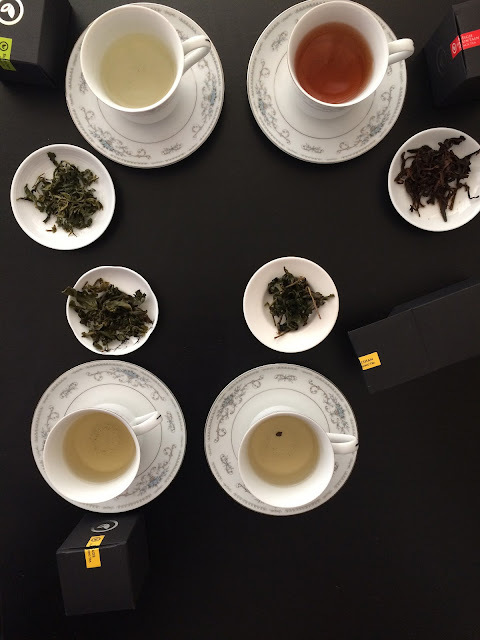 I had drunk around the same time a Taiwanese black tea at Te Company (either the Jade Rouge or the Petite Noir or maybe both) and a different Taiwanese black, and Alishan Back, from Unytea. 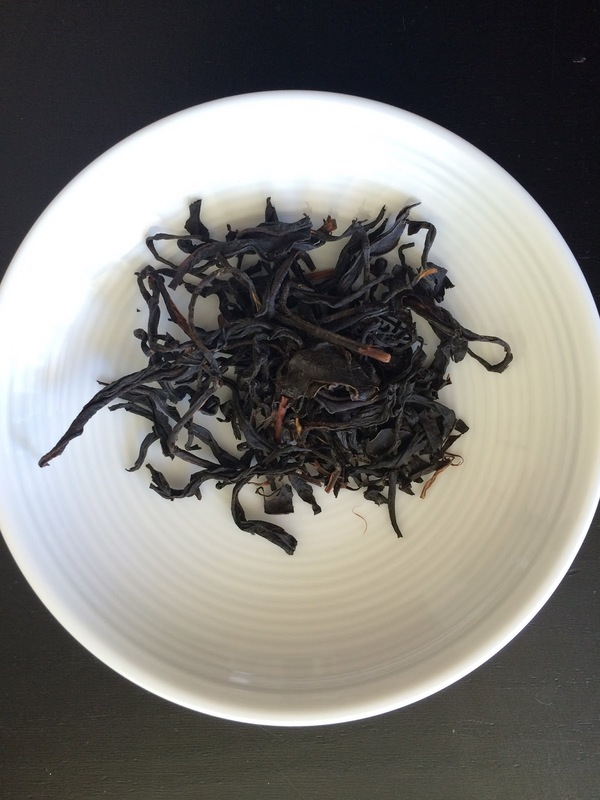 A bit of a tangent here: the Teaful black, I think, is processed from the Alishan cultivar Qing Xin. This same cultivar is the base tea for Te Company's Petite Noir and Unytea's Alishan Black. The Jae Rouge from Te Company is made from the Hongyu/TRES # 18 aka T-18 cultivar. I didn't know any of this by rote. I referred to the company's websites and my tea school textbook, TEA by Gascoyne et al. How did I prepare my first session with the High Mountain Black and what did I think of it? I infused 5 grams in 8 ounces of 195F water for 4 minutes per the label. Oh, the dry leaves were long, dark, and twisted. They smelled sweet and of dark dried fruit, maybe cherries. There was definitely a note of very good unsweetened cocoa powder or maybe cacao nibs. (Did you know that raw cacao powder is derived from cold-pressed unroasted cacao beans while cocoa powder is roasted raw cacao powder?) There was also a note of citrus akin to bergamot but not at all similar to Earl Grey. The dry leaves were very fragrant. The steam off the first infusion smelled so good. The taste was sweet like maple syrup on waffles or like melted cotton candy. There were also floral notes. As I finished the first infusion I also detected dates. Have you ever had Deglet date? Try one. The liquor was all caps fragrant and aromatic. The infused leaves were various shades of brown and quite long. They smelled woodsy and of sweet, dark fruit. I resteeped the leaves for 5 minutes at 200F. The flavor profile was similar though less juicy. Also, there was a drying effect. I infused the leaves for a third time using the same parameters. The steam was still fragrant but the liquor was milder tasting, mostly of honey. The mid-note was of cocoa and wood while the endnote was sweet. I learned this type of green tea as being from Jiangsu, China. Biluochun is also known as green snail spring. 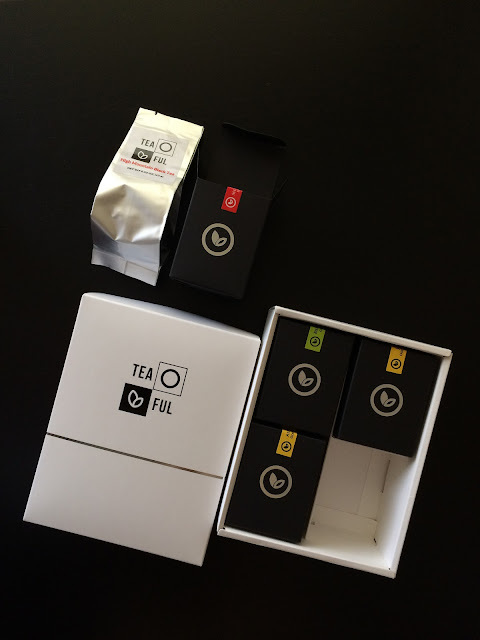 Teaful's offering is from Sanxia, New Teipei City in northwestern Taiwan. The dry leaves colored silver, sage, moss, and forest green are long and slightly twisted. A deep inhale releases notes of hay and cream. The infused leaves smell consistently with the dry ones with the addition of deeply vegetal notes. The liquor was a pale sage color, bright and transparent. It tasted sweet and creamy with a creamy mouthfeel, too. There was a quality that I wrote as "meaty" but this taste could have been green bean or even sunflower seed and walnut ascribed to Dong Shan, a green tea processed from the Qun Ti Xiao Ye Zhong cultivar from which Chinese Bilochun is made. The nose was of the flowers or the actual flesh of summer fruit. This oolong consisted of small, tightly rolled beads of dark green leaves with flecks of sage green which smelled like a creamy malt cereal. The clear yellow green liquor also tasted like a creamy malt cereal. The creaminess was in the mouthfeel, too. There was a striking vegetal note. 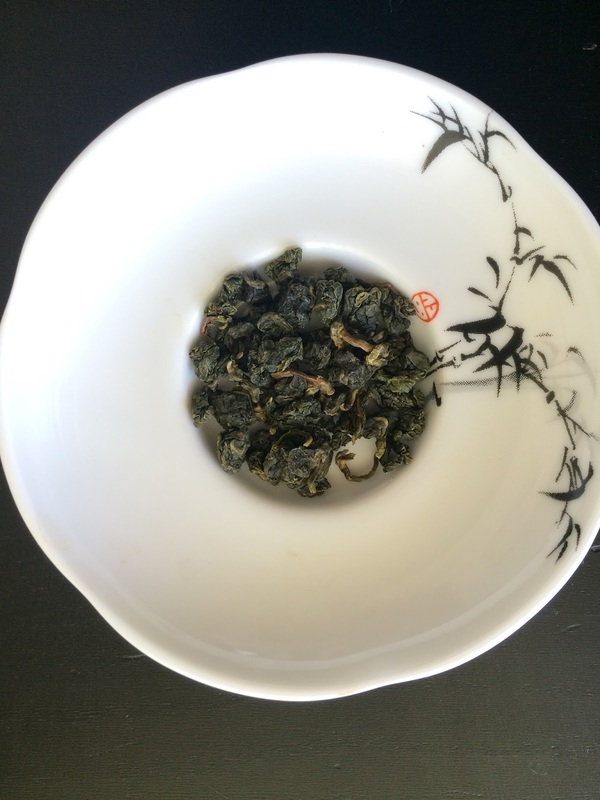 Larger beads with more visible stems, this oolong also exuded a creamy fragrance. The pale green liquor distinctly floral and fruity. The lingering end note was sweet. The High Mountain Black Tea was my favorite of these four Taiwanese teas from Teaful. It harmoniously encompasses many of the notes on the flavor wheel. The Bilochun is flavorful and would appeal to a palate that embraces umami forward teas. The two oolongs were delightful. I think they would shine brighter prepared in a gaiwan with less water and maybe more leaf. My next step is to prepare these oolongs gaiwan-style. Teaful just released Chapter 2 with Baozhong, Milk Oolong, Assam, and Ruby 18. Did you raise your eyebrows at Assam? Given that Teaful offered a Taiwanese Bilochun, a Taiwanese Assam should not be surprising. These types of double take moments are what makes this company's tea box stand out from others. 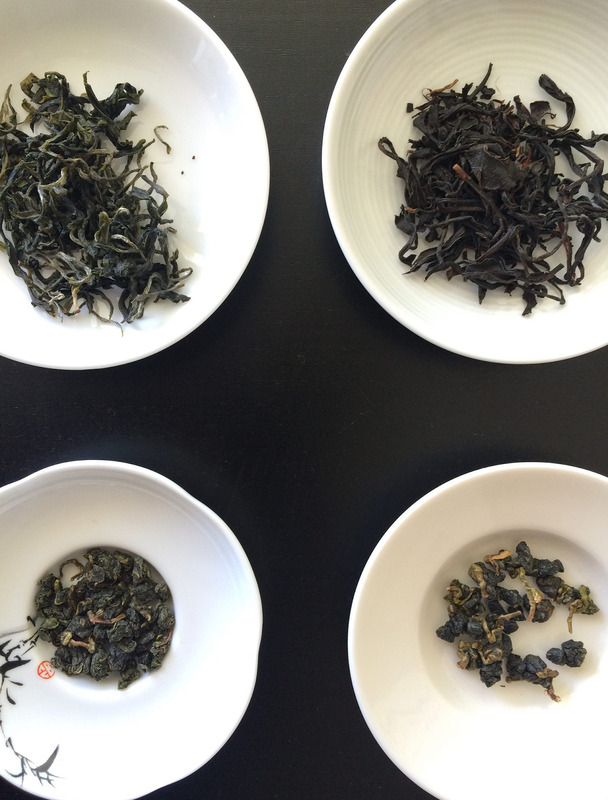 They are offering delicious Taiwanese grown teas associated with other regions and countries. Read the Assam story here. Taste of Taiwan Chapter 1 teas provided by Teaful. Nice review. I have those teas on the way, I look forward to them!